Stop Being Afraid: Just Do It! It is likely that at some point in your life, fear will prevent you from doing something. That “something” could be returning to school, making a career change, relocating to a new city or state, ending a toxic relationship, starting a fitness program, public speaking, starting your own business, or something else. In my early 30’s, occasionally I would see a sista with locs. At that time, locs weren’t as common and they were not viewed as socially acceptable or professional by employers and close-minded and uneducated people. Even today in a more liberal society, some people remain ignorant and believe the style is dirty, unkempt, and ugly. Regardless, I have always loved their unique and free-flowing ability. Their lack of uniformity and rebel like style is appealing to me. When I see men, women and children sporting their locs, to me, they symbolize freedom and confidence. I especially love seeing Caucasian men and women workin’ the heck out of their locs and can’t stand when black folk of color take issue with them and act like the style belongs to black folk, but that’s a whole other post. Why freedom and confidence? Because of the mass confusion and general lack of knowledge about locs, people are often judged, snubbed, and ridiculed for taking a liking to the style. Some level of confidence is inherent to comfortably and confidently wear the style. Ask anyone wearing locs. They can tell you about the ill-mannered questions, statements, and odd looks they receive. Nearly three years ago, when my son began his Loc journey, a woman thought she needed to correct me about decision to wash–that’s right–wash my son’s hair. Smh! 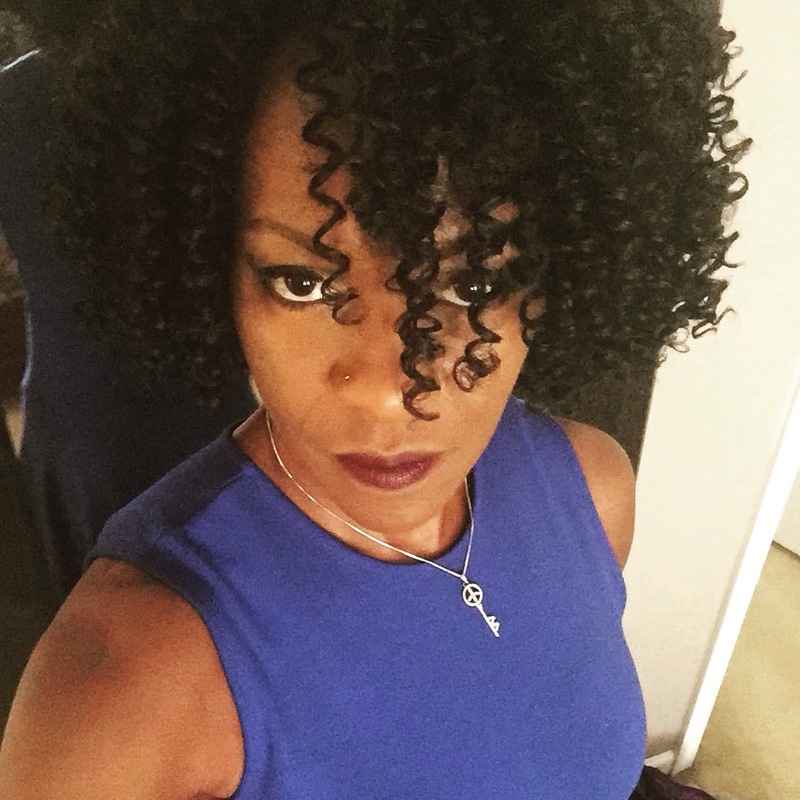 This black woman was convinced that my son’s’ hair would not loc if I continued to wash it. Depending on the hair, the process can take months… many months. That notion is foolish and makes no sense because the water, I learned from my son’s professional Loctician, help the hair hair loc), Included in my son’s’ loc maintenance is always a good shampoo. His hair Loced with no problem. As I sit and write this, my heart started beating fast again! Lol!! I am one hour and six minutes aways from a new chapter in my life. this post is more about overcoming and conquering fears. After months of serious deliberation and weighing the pros and cons of locing my hair, I committed to begin my loc journey. “I am expressing my creativity…” Lauren Hill, I Am Not My Hair.What took me so long? I was afraid. Yep, there goes that immobilizing word again. FEAR!!!!!! Afraid that I would not like the style. Afraid of the early frizzy stage. Afraid that if I changed careers, the style would beome a barrier. 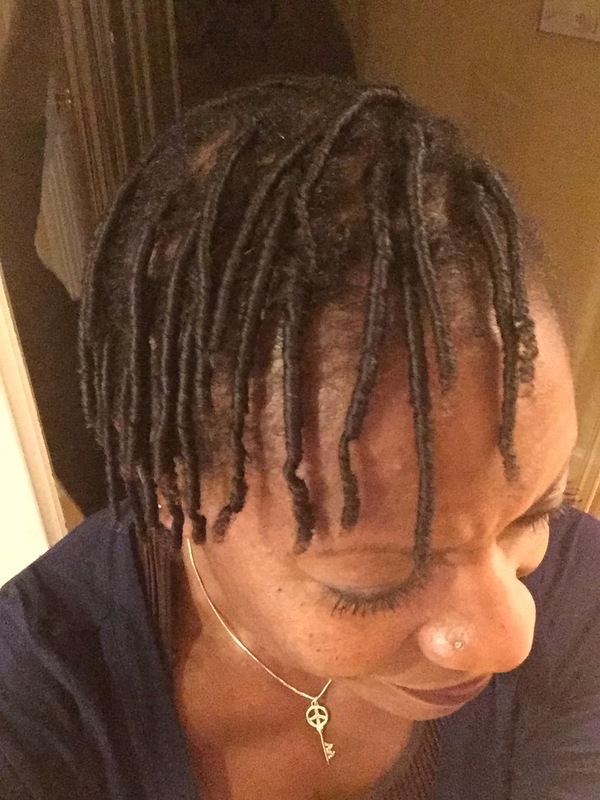 Afraid that my locs would not be as pretty as my sons, my cousins or others. Afraid that my busy schedule would not allow me to keep up the appointments. Afraid of what I would look like with tiny coils in the early stage. Afraid of not looking attractive. Afraid of looking my age. When I read over the list, I think to myself, “girl that is stupid!” Stupid but real. You feel what you feel. So how did I get over the hump? Three weeks before my loc appointment, I decided to do something that I have not done before. 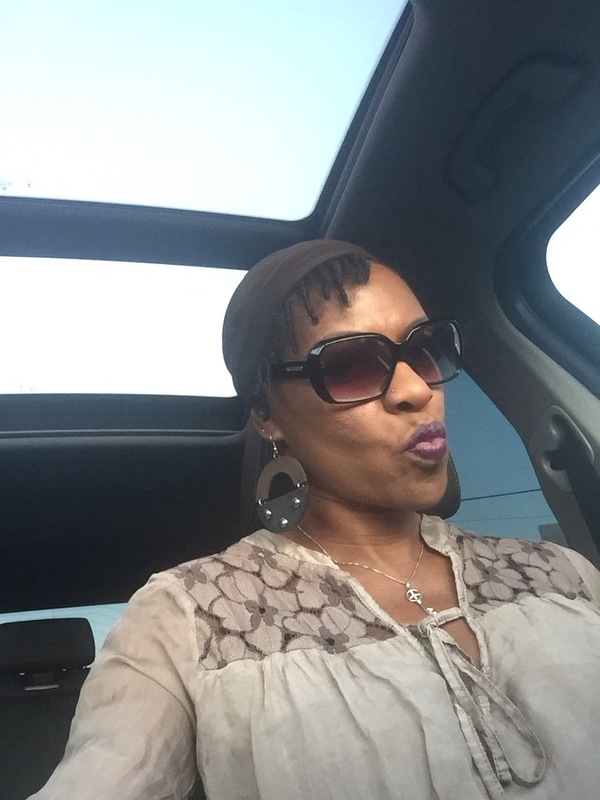 Install small two-strand twists and wear them to work. Th twist were a huge contrast to the big puff I wore all summer. Lol! After twisting my hair, my head looked so flat and small. While I was not convinced the style complimented my facial features, I pushed the thought to the back of mind, added more mascara, puckered for my favorite lip color, and kept it moving.. Lol!! The style definitely changed my appearance and this took some getting use to. Now for the positive. For two weeks, I did not have to style my hair. With my active lifestyle, this was a bonus. As each day passed, I became more comfy and cared less about what anyone thought. 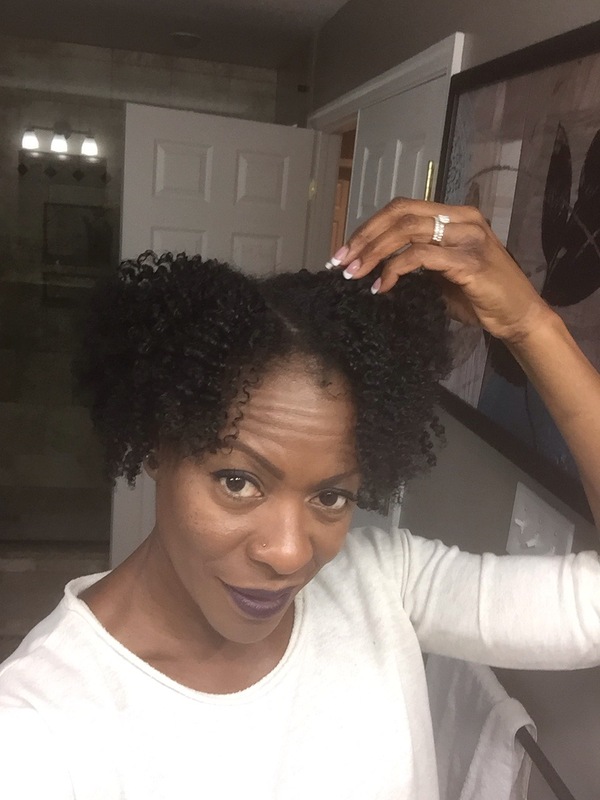 I felt free from the daily grind of styling my natural hair. 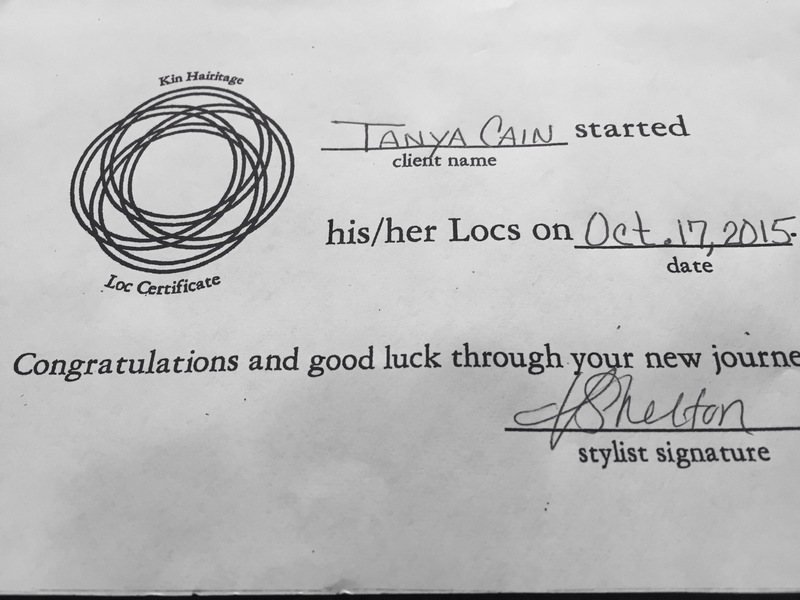 During the two weeks before my hair appointment, I continued to gain inspiration and knowledge from bloggers and photos on Instagram and Pinterest. People don’t always realize how much they help others by posting pictures and by sharing their personal journeys. The bottom line is, I simply made a choice to stay with my theme of living an authentic life and to do exactly what I have been wanting to do without looking back. 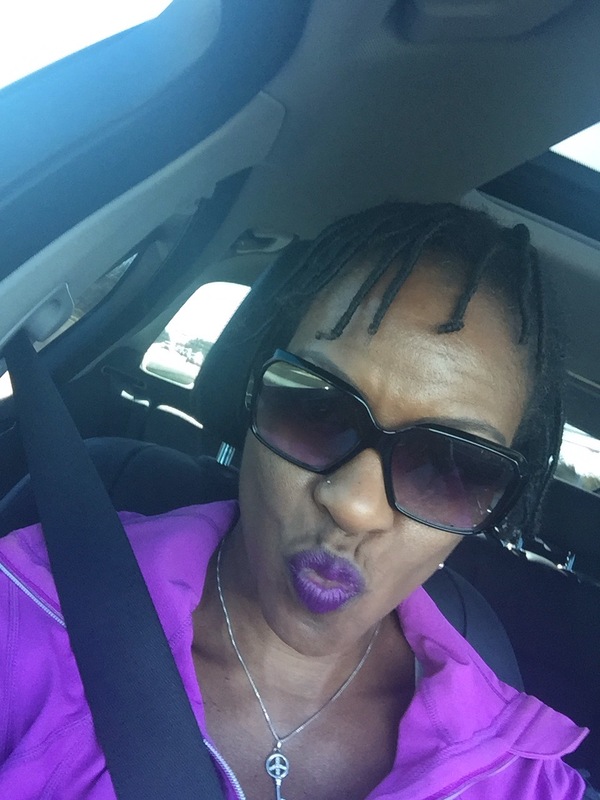 The night before my appointment, I decided to flat twist my hair… Lol! Bye-Bye products!! My coils are so tiny, but eventually they will expand… I am eager. The first week has been an emotional roller coaster!! My locs were installed on Saturday. Sunday I worked out and sweated like a dog. Monday’s hair wasn’t so bad, but after Wednesday’s spin class, I was feeling uncomfortable with all the frizz. I felt like my hair was going in every different direction. On Thursday, I wore a loc sock, but I think it was a big fail. Lol!! All week the natural chica’s in the office were so supportive and encouraging. By Friday, I felt raggedy and needed to do something. My long time bestie was burrying her mother on Saturday and there was no way I could have showed up with my hair all frizzed up. I looked a hot mess so Friday after work I found a solution!! I bought this funky wig!! Now my locs are happily nesting under my temporary hair. During my loc journey and until my locs begin budding, I think I will bounce back and forth, in and out of my wig; it’s so much fun!! Whatever it is that you’re thinking about doing, just go ahead an do it! The outcome will mostly likely be better than you ever expected. 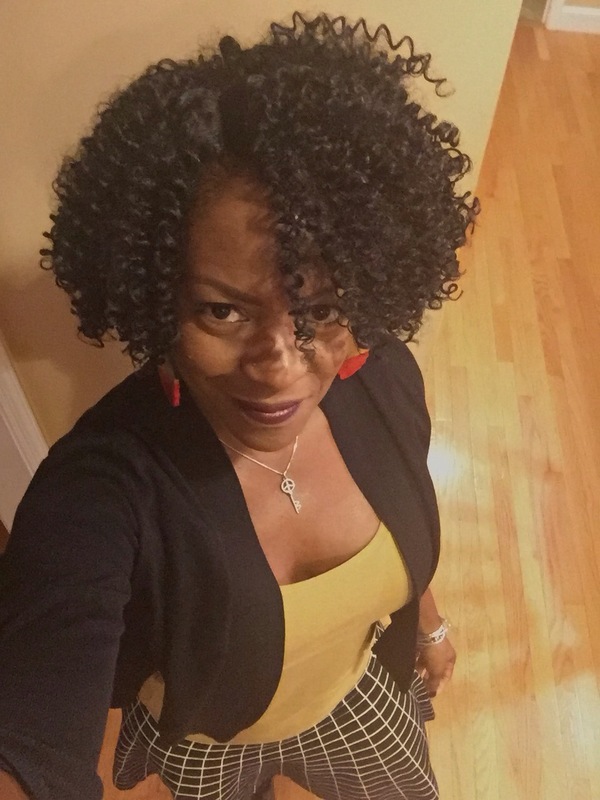 This entry was posted in Hair Natural, Healthy Living, Inspiration and tagged afraid, attitude, Beauty, change, confidence, Dreadlocs, dreads, empowered women, fear, fit women, freedom, loc journey, locs, natural hair. Bookmark the permalink. Happy Loc Birthday! Enjoy the beautiful journey Tanya!